Products worth pausing your show for, from graphic tees to gadgets. 1. Friends graphic tees so you can match with the people who are always there for you (or just represent your favorite character). Get the Rachel, Monica, and Phoebe tees from Iconic Duo for $24/each (available in sizes S-L). 2. A telly-shaped crossbody bag featuring classic Rugrats characters, as a nod to when your love of TV truly began with Saturday morning cartoons. Get it from Box Lunch for $55.92. 3. The Eat Like a Gilmore cookbook, so every aspiring Sookie can try their hand at Stars Hollow's most mouth-watering recipes. Every recipe page tells you when the dish was mentioned on the show and where it came from (like Sookie's kitchen or Emily's house). Some highlights include Sookie's mushroom soup and of course, of cup of Luke's coffee. Warning: you may end up more stuffed than Lorelai and Rory after they attended four Thanksgiving dinners in a row. Get it from Amazon for $9.50+. 4. 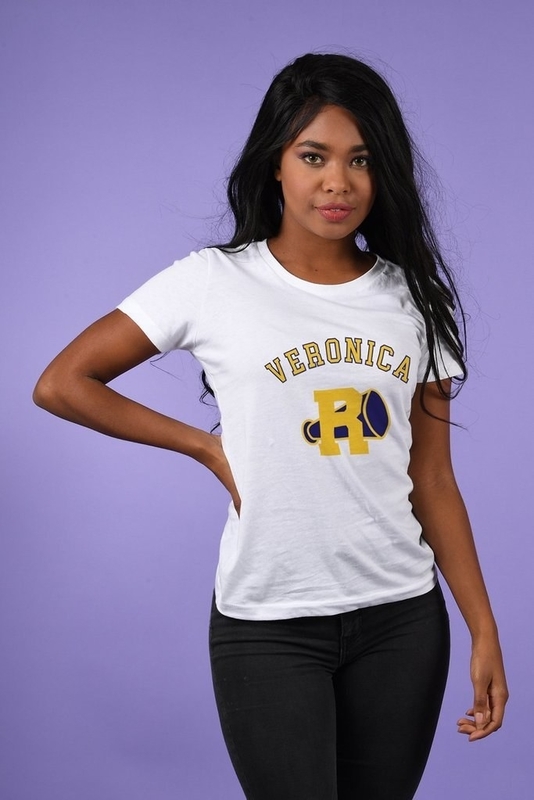 Riverdale tees made for matching with the BFF who's your biggest cheerleader. 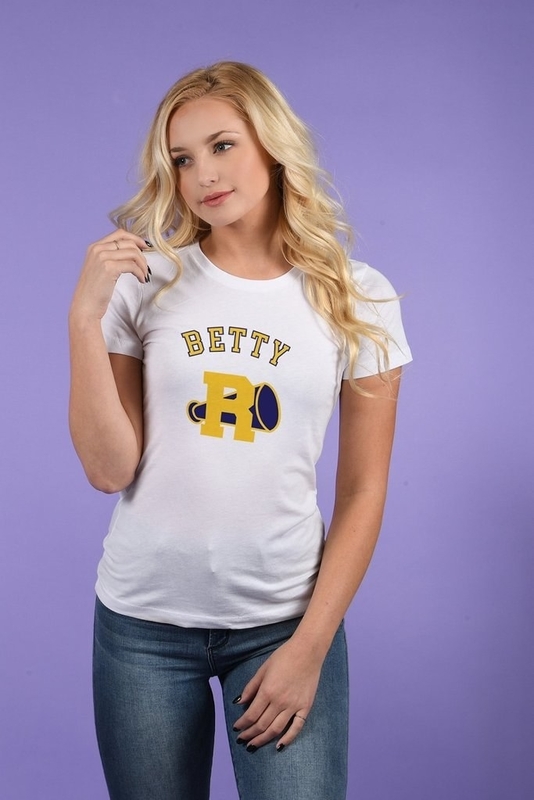 Get the Betty or the Veronica tee from Iconic Duo for $24 (available in sizes S-L). 5. A Game of Thrones wine glass so you can sip on some red while you rewatch the Red Wedding. 6. A LOL-worthy Stefon Funko Pop! that every SNL fan needs on their desk. As an added bonus, he's happy to be your guide to New York's hottest clubs. Get it from Hot Topic for $12.50 or Walmart for $10.31. 7. A TV-shaped sponge holder to remind you of what you'd rather be doing instead of chores. It also comes with comes with two glittery, non-scratch sponges that look like static when placed inside (what a throwback) and two suction cups so the little telly can be adhered to a flat surface. 8. A delightfully detailed poster featuring all of the Burgers of the Day from Bob's Burgers, from the "Take A Leek" to the "Poutine On The Ritz." Get it from Hot Topic for $7.12. 9. 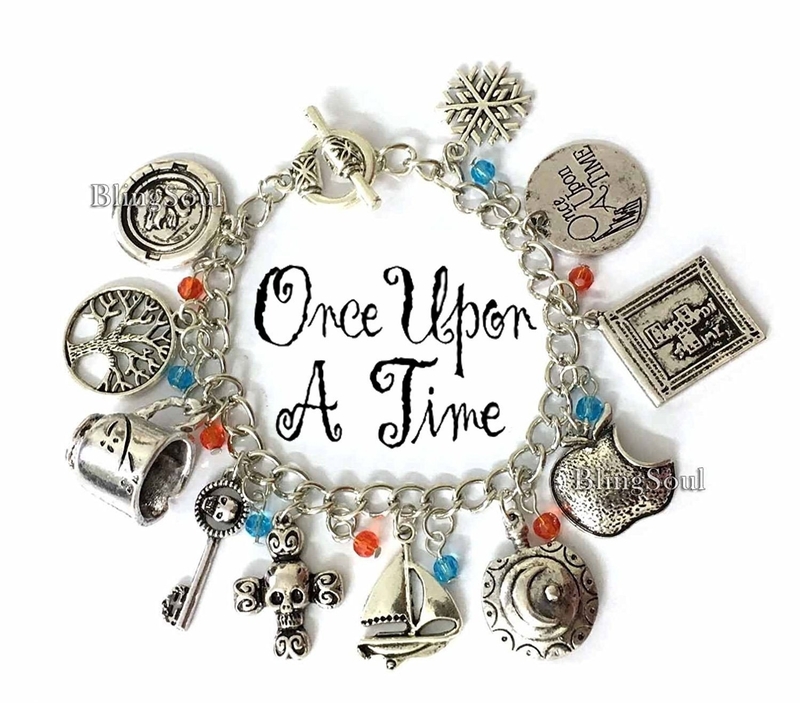 A downwright charming bracelet full of symbols from your fave show. 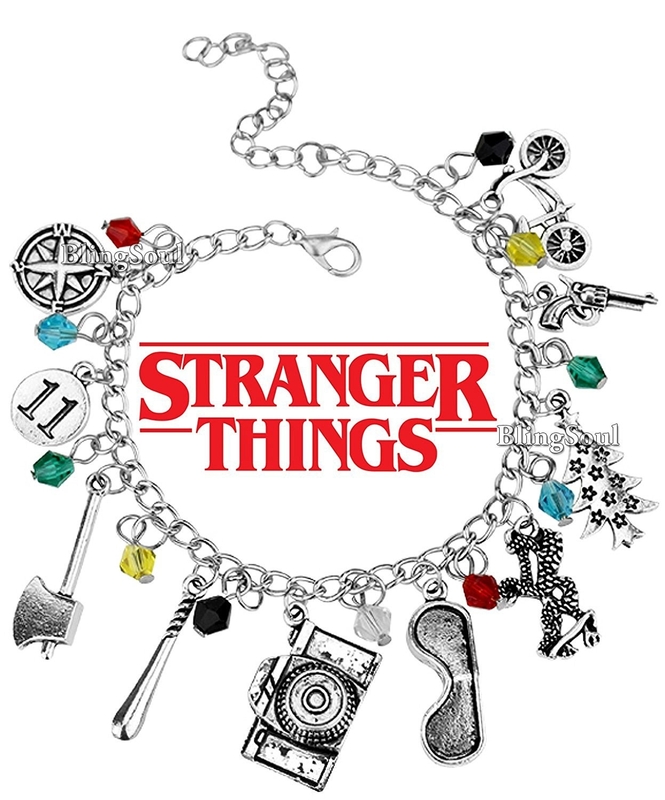 For example, the Stranger Things version includes charms like a bat, a bike, and the number eleven. It's an easy way to rep your favorite show every day (though you may wish you were at home watching it every time you see the charms on your wrist). Get it from Amazon for $12.99+ (available in 27 shows, movies, and designs). 10. Hunter's Chest, a delightful subscription box that'll deliver fandom-themed treats (it's available in Supernatural, Star Trek, or The Walking Dead versions) to your door every month. Because, let's face it, you're gonna need something to look forward to once the season ends. Each box includes a mix of licensed and fan-created novelty products, like magnets, pins, and figurines. Get it from Cratejoy for $25+/month (available in three fandoms, with the Supernatural box also available in a larger, deluxe size). 11. A folding lap tray, because everyone knows that the only thing better than TV is TV paired with food. This one has over 1,000 positive reviews on Amazon and is perfect for enabling your couch-potato ways. TBH, give me takeout in front of the TV over dinner at a five-star restaurant any day. Promising review: "I bought two of these because my fiancé and I like to eat in bed while watching TV. They're extremely sturdy (make sure you pull the legs all the way out) and they look really nice. They're easy to clean and easy to store. The price was right, too!" —Todd B. Get it from Amazon for $22.12+. 12. An empowering Kimmy Schmidt mug to remind you that you are unbreakable, dammit! Get it from GeorgieJuneCo on Etsy for $11.47+ (available in right and left handed options and in two sizes). 13. A Hawkins Middle School hoodie you'll love so much, you'll want to give it an eleven out of ten. Get it from Amazon for $16.99+ (available in sizes S-3X and in three colors). 14. 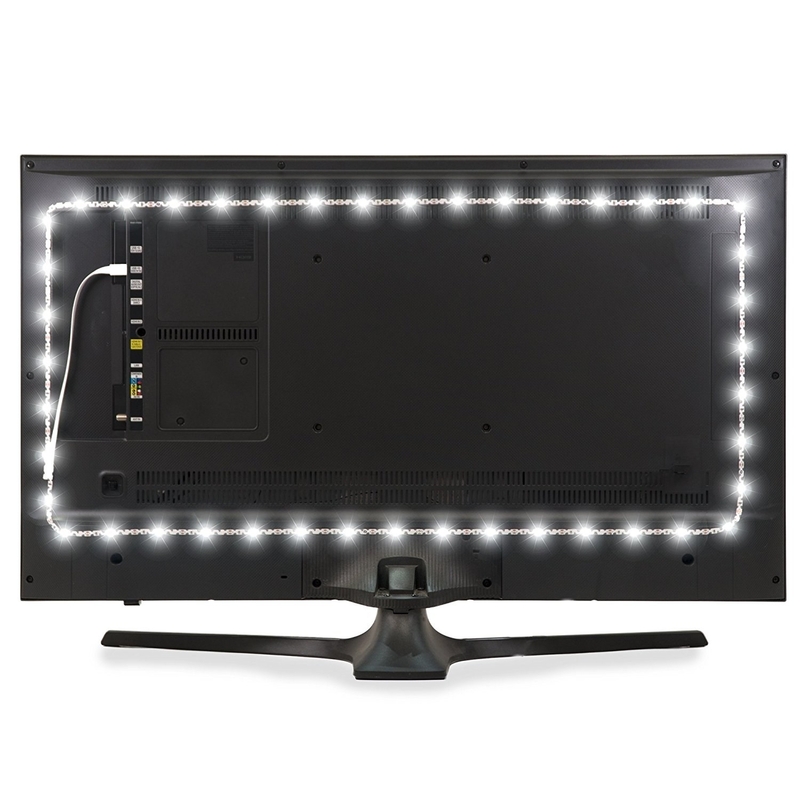 An adhesive backlight strip to brighten up your entire viewing experience. Just stick this on the back of your TV and plug it into the USB port, and your screen will undergo a literal glow up. 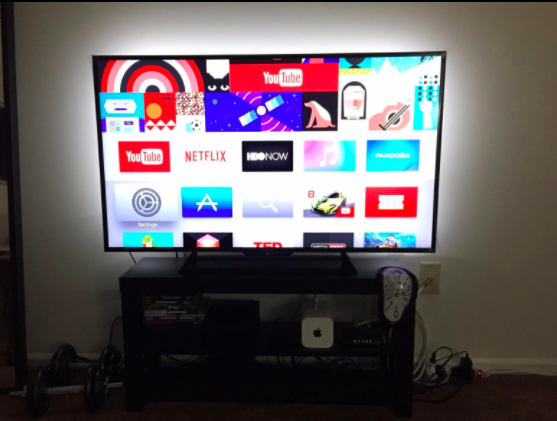 The backlighting will make the picture quality better and make staring at a screen in the dark for hours on end a little easier on your eyes, since the screen won't be in such stark contrast to the rest of the room. Get it from Amazon for $16.99+ (available in white or multicolor and in three sizes). 15. Out-of-this-world Rick and Morty socks that'll keep your feet cozy on all your intergalactic adventures. 16. 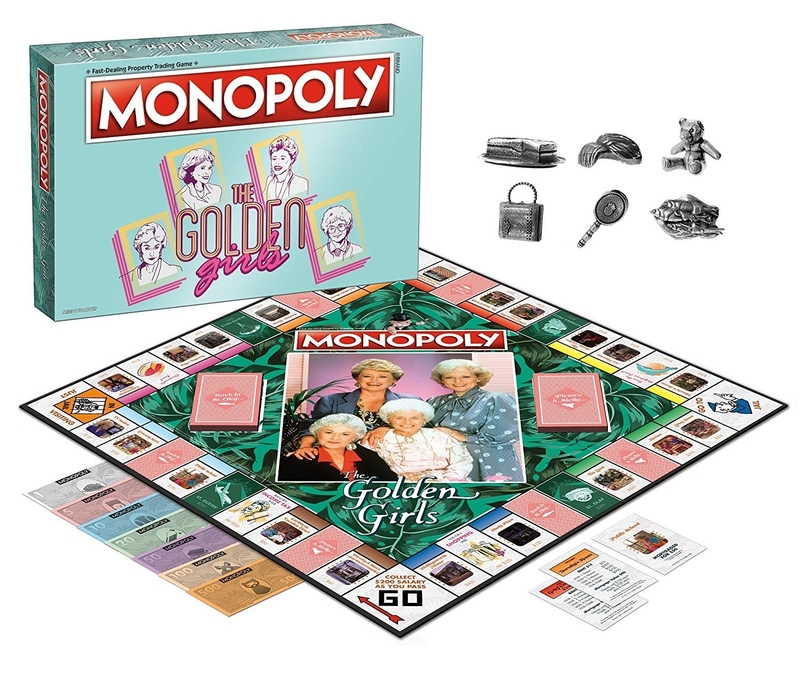 Golden Girls Monopoly, because ol' Mr. 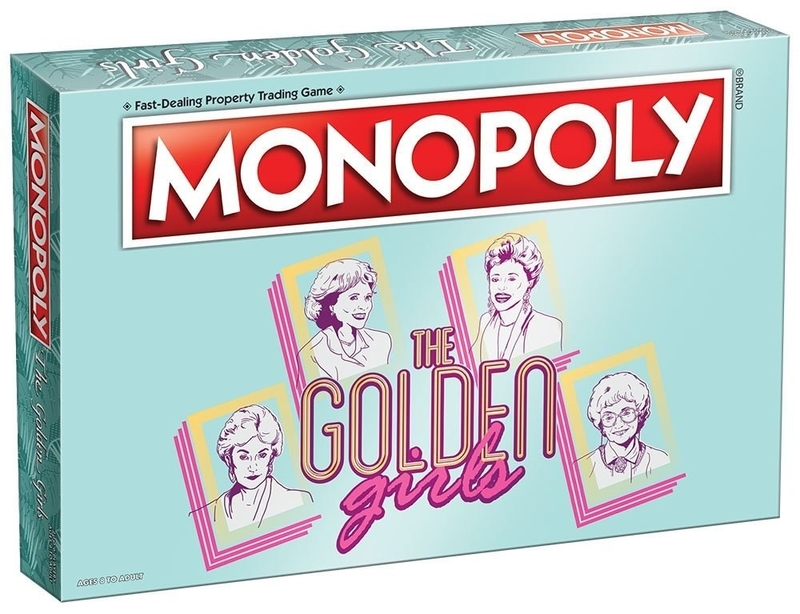 Monopoly's got nothing on Sophia, Rose, Dorothy, and Blanche. The best part is probably that instead of classic Monopoly game pieces, the tokens in this version are candied herring, Rose's teddy bear, Sophia's purse, Blanche's mirror, Stan's toupée, and, of course, cheesecake. Get it from Amazon for $29.42. 17. An enamel pin featuring the two real stars of Frasier, Marty's chair and Eddie the dog. 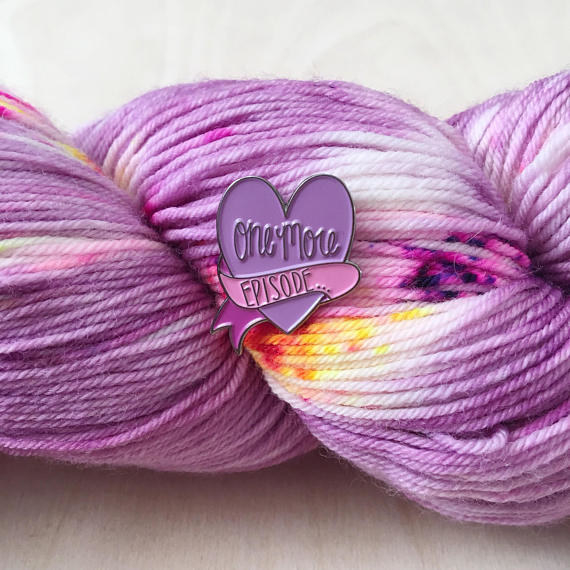 Get it from ClortyCatCrafts on Etsy for $10.24. 18. A super soft tank top that chronicles your eternal struggle to be honest with yourself. Get it from Human for $19.99 (available in four colors and sizes XS-XL, and the design is also available on seven other items). 19. 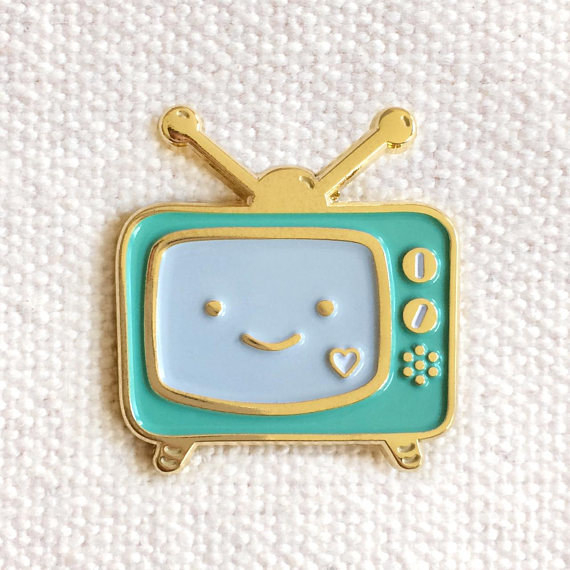 An adorable enamel pin to show off your pin-terest in TV wherever you go. Get the smiley TV from NightOwlPaperGoods on Etsy for $10 and the "One more episode" heart from woolfield on Etsy for $9.75. 20. A pair of socks telling your friends to leave you alone while your fave show is on, otherwise you might just bite their head off. Get them from MadebyclaireDesigns on Etsy for $11.45 (available in two stripe colors). 21. Your very own Dundie award to display with pride. What title did you take home, you ask? Definitely the "Best At Quoting The Office" prize. 22. An inspiring Leslie Knope compliments pad so you can send your friends the most heartfelt sentiments ever uttered in Pawnee. You can choose from 16 different beautiful compliments, and the pad has fifty sheets so you can generously spread the love like the brilliant, powerful musk ox that you are. Get it from Amazon for $9.95 or from CoolTVProps on Etsy for $8.95. 23. Chrissy Metz's new book, This Is Me, which may take you on an even bigger emotional rollercoaster than an episode of This Is Us. Seriously. The book isn't just a memoir about her challenging life before she became Kate Pearson on the most sob-inducing show on TV. It's also full of motivational messages and advice that'll make you feel like she's a friend cheering you on IRL. Promising review: "Once I started this book, I couldn't put it down! I read it in two days! It's such a heartfelt book, with moments of laughter, smiles, and tears. 24. 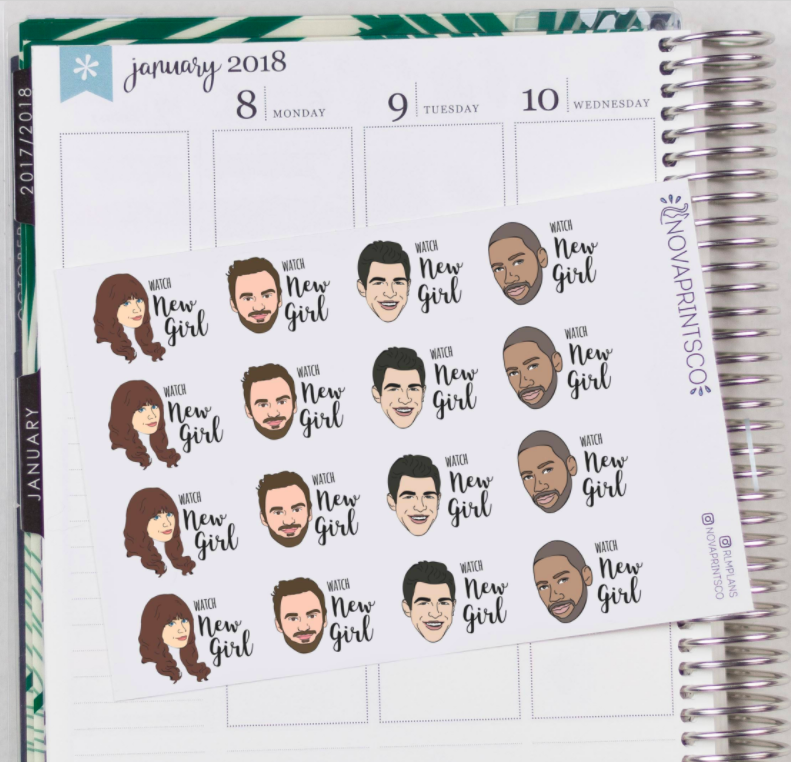 A set of planner stickers to help you set aside time to do the most important thing in the world: binge watch your favorite show. "Tonight? Let me just look at my calendar...oh, sorry, I have plans." 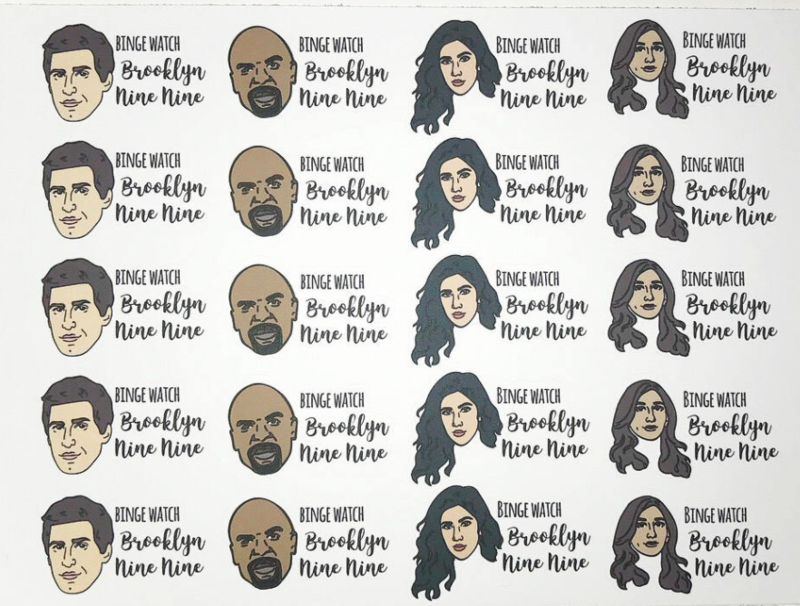 Get a set of 20 Brooklyn Nine-Nine or New Girl stickers from NovaPrintsCo on Etsy for $3.50. Find more shows here. 25. A cozy fleece blanket with a fun design featuring TVs, takeout boxes, and cats — aka all the ingredients of your perfect Saturday night. All you need to compete your heavenly couch oasis is a snuggly blanket and — would you look at that — now you have one. 26. 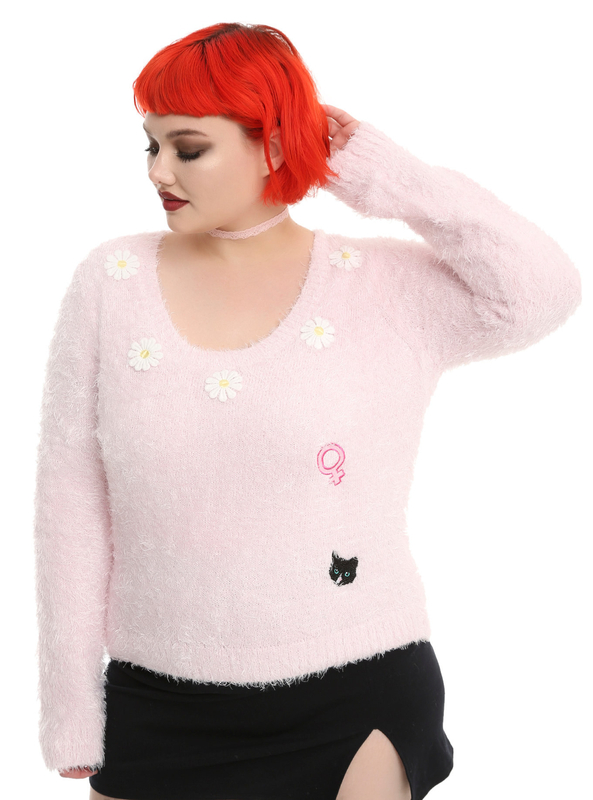 A fuzzy sweater that looks similar to the one Willow wore in the "Doppelgangland" episode of Buffy. It's truly worthy of Earth's most powerful (and stylish) witch. Get it from Hot Topic in straight sizes for $25.99 (available in sizes XS-2X) or in plus sizes for $32.99 (available in sizes 0-5). 27. A handy Apple TV remote cover to make your precious controller easier to grip and harder to lose in the crevices of your couch. Get it from Amazon for $6.79+ (available in eight colors). Fits Apple TV fourth generation Siri remotes. 28. Broad City tees that you and your bestie deserve, because you're, like, feminist heroes. Get the Abbi or the Ilana tee from Iconic Duo for $24 (available in sizes S-L). 29. And finally, a shamazing sticker depicting one of the most iconic moments in the history of television. Because we all entered a state of Jonathan withdrawal the second we finished Queer Eye, amirite? Get it from suuperskinnyfit on Redbubble for $2.98+ (available in four sizes). So, will I be ordering all of these things from my couch, with my latest binge playing in the background?